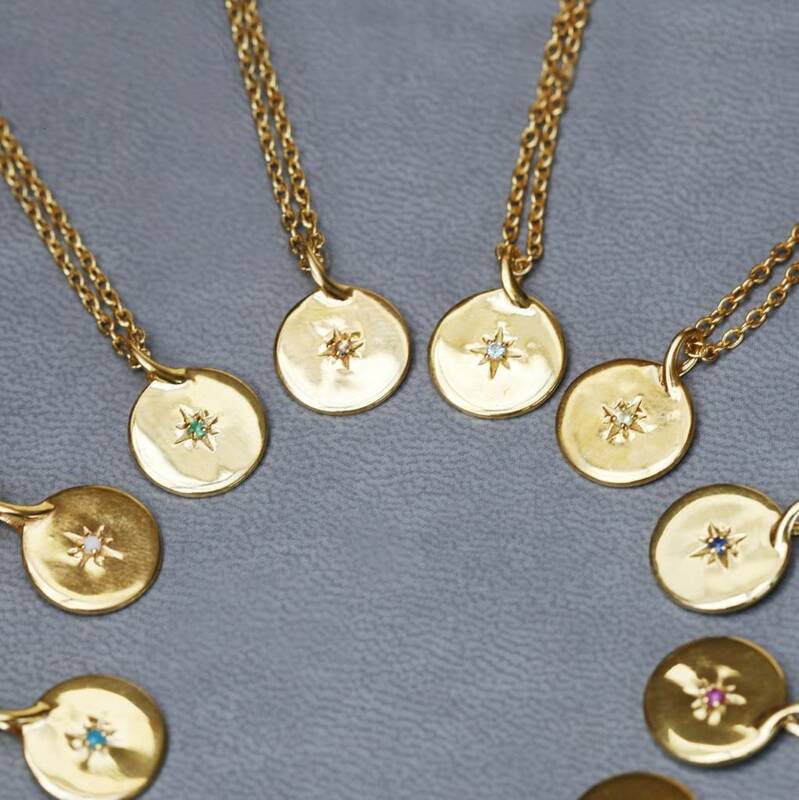 An 18ct Gold Vermeil round disc which is beautifully polished with the birthstone gemstone set in, surrounded by a delicate burst style design. 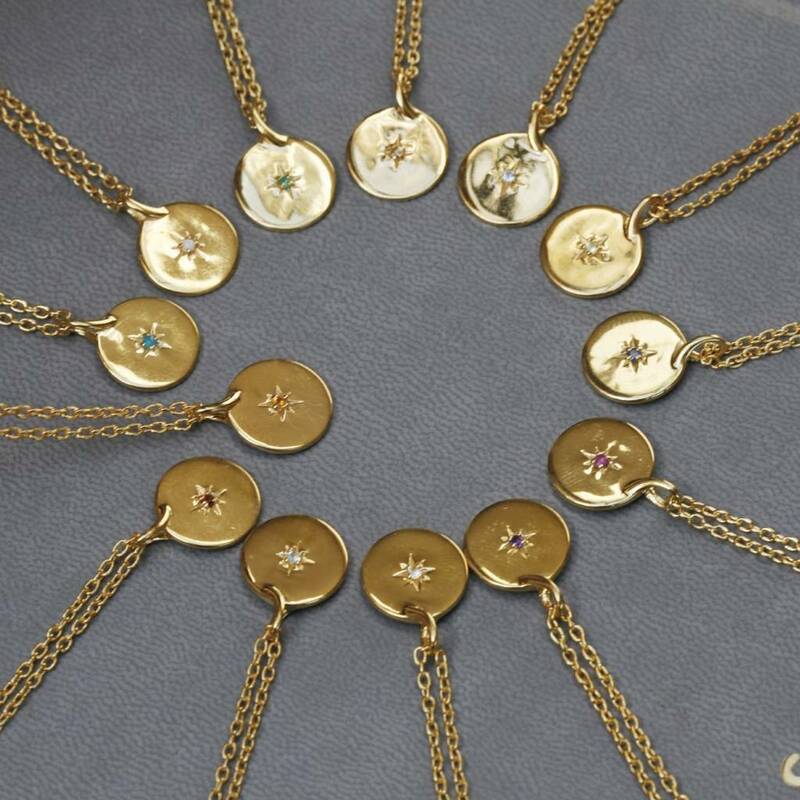 This necklace comes in a range of 12 birthstones/ gemstones which could be chosen for your favourite colour or to go with an outfit or just as your birthstone! 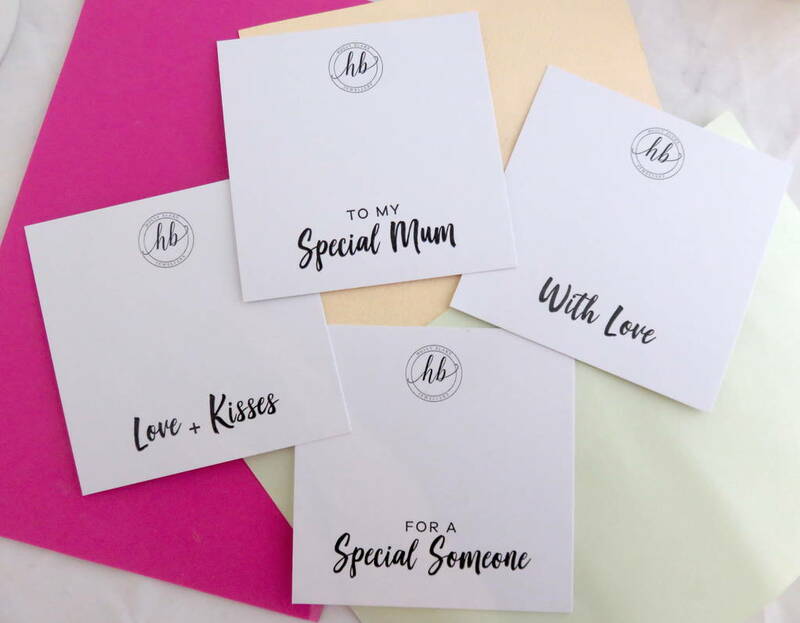 Its a lovely keepsake for someone special. 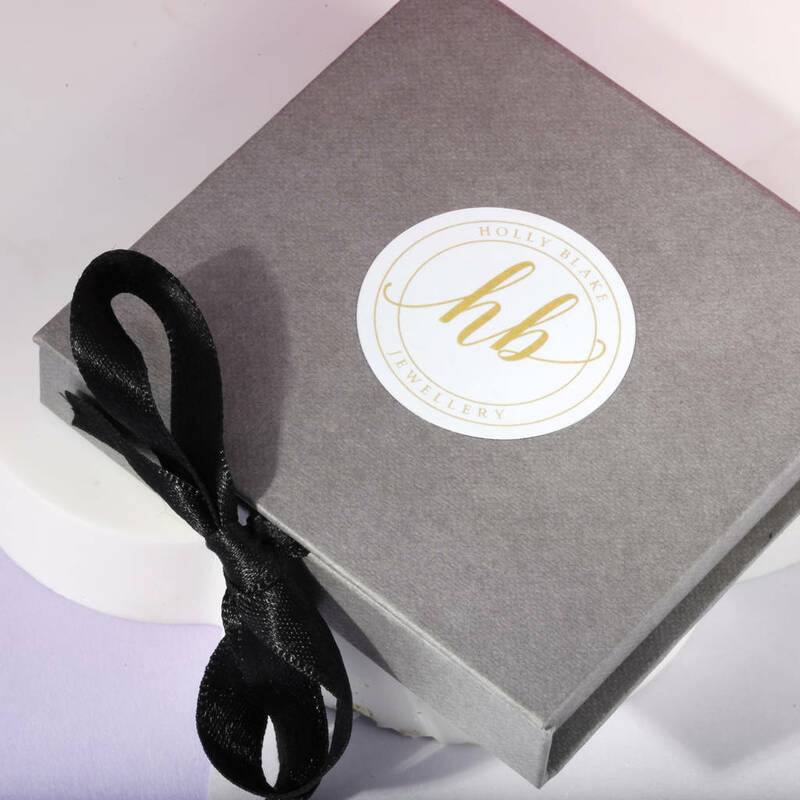 Arriving in a grey presentation box which includes a Holly Blake care card, this necklace can be personalised with a card of your choice which can include a special message, a lovely complete present and a safe place to keep this treasure. 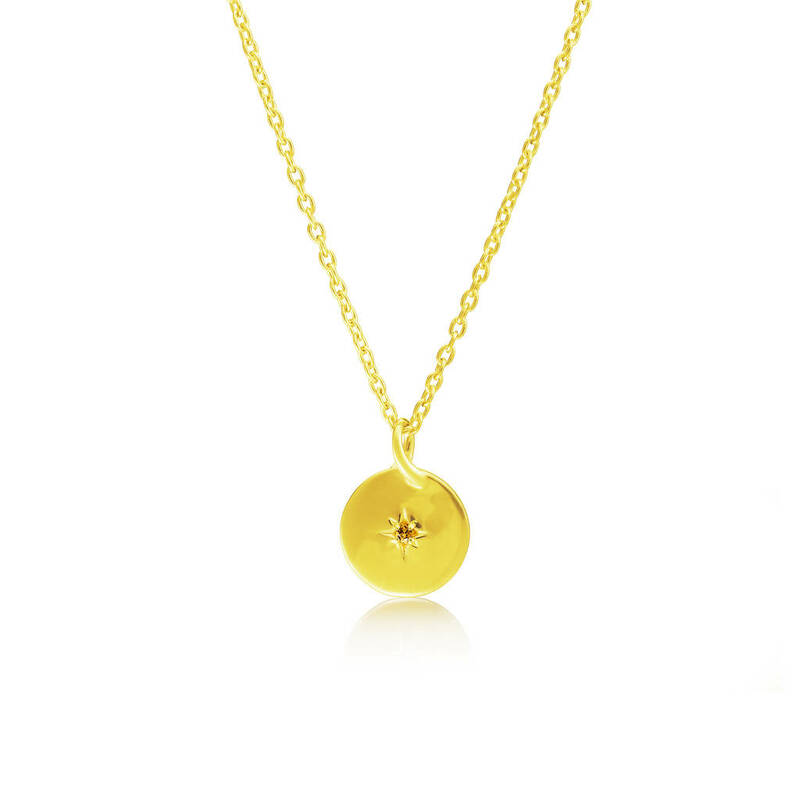 Length of chain: 18" adjustable to 16"